Cards are basically entry points or doorways to content displayed within the website. Multiple cards can be used in a tiled approach to display content and encourage a user to click through. 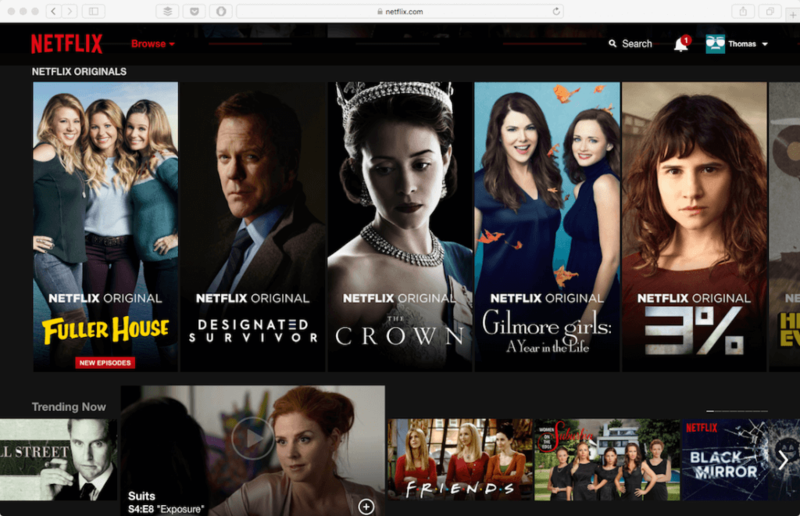 A modern example would be Netflix, the online media steaming service which has seen great success with the minimalistic approach. They are able to tell more about a show or movie with an image arranged in a catalogue than they could using text and headings. Basically, people now want de-cluttered, simplistic, and visually explanatory web designs.